Fall, 1963: Three musicians get together and form a band called the Treblemen: Randy Resnick on lead guitar; Bob Cohen on rhythm guitar and Mike Mock on drums. The band plays all instrumental songs including covers of the Ventures and the Argonauts. The band name reflects the group’s lack of a bass guitar player. When the Trashmen hit the Billboard charts with “Surfin’ Bird” (November) the group decides to find someone to join the band who can sing the Trashmen’s hit song. Bob Cohen, a student at Robbinsdale High School asks fellow classmate Denny Libby to join the band with the sole purpose of singing “Surfin’ Bird.” Randy and Mike are students at St. Louis Park High School. Over time, Denny Libby sings lead vocals on more songs. Shortly after the band began playing in public, Rick Beresford joins the group on bass guitar and vocals. The first job with Rick is at the St. Louis Park High School. 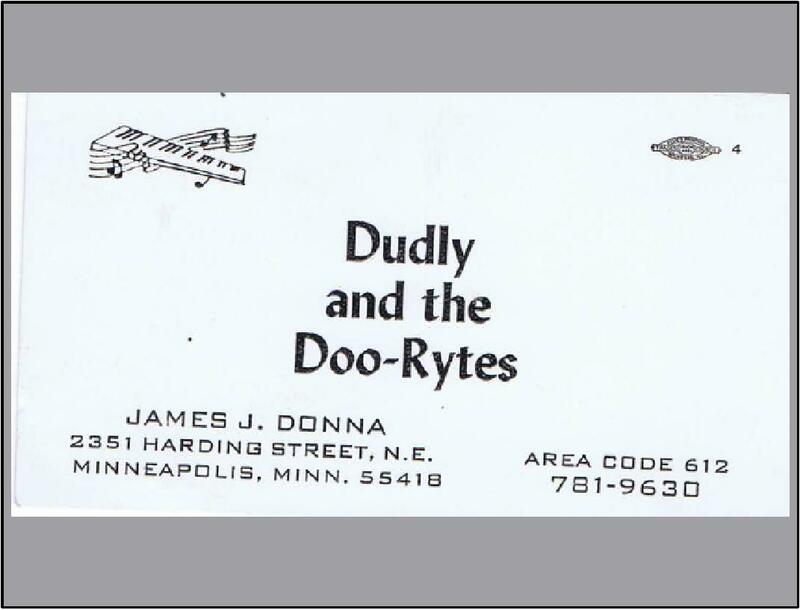 The band plays at the Robbinsdale Youth Center, Frat parties, high school dances, and other small venues. On weekends the band plays at local teen club Mr. Lucky’s in Minneapolis. 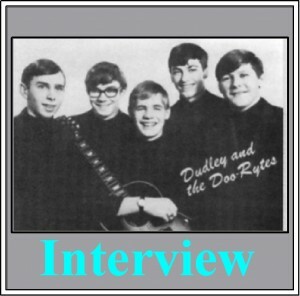 April, 1964: Denny Libby leaves The Treblemen to join Dudley and the Doo Rytes. May, 1965: Rick Beresford leaves the Vigilante’s to join The High Spirits. After The Vigilantes come to an end, Bob Cohen forms a band called Shag with Peter Berget on keyboards, Roger Johnson on bass guitar, and Jim Madison on drums. A new band forms called Dudley and The Doo Rytes. The lineup is: Denny Libby on keyboards, harmonica and vocals; Tom Husting on lead guitar; Randy Anderson on rhythm guitar; David Hobson on bass guitar and Dan Munson on drums. All band members are still in high school. 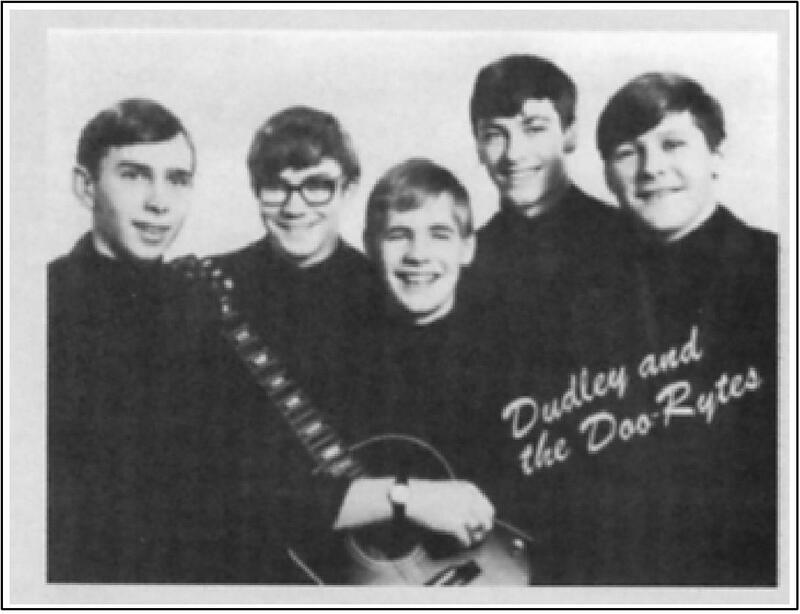 Denny Libby comes up with the band name that originated from a 1960’s television cartoon character named Dudley Do-Right, known for rescuing “damsels in distress.” Randy is the band member designated as Dudley. 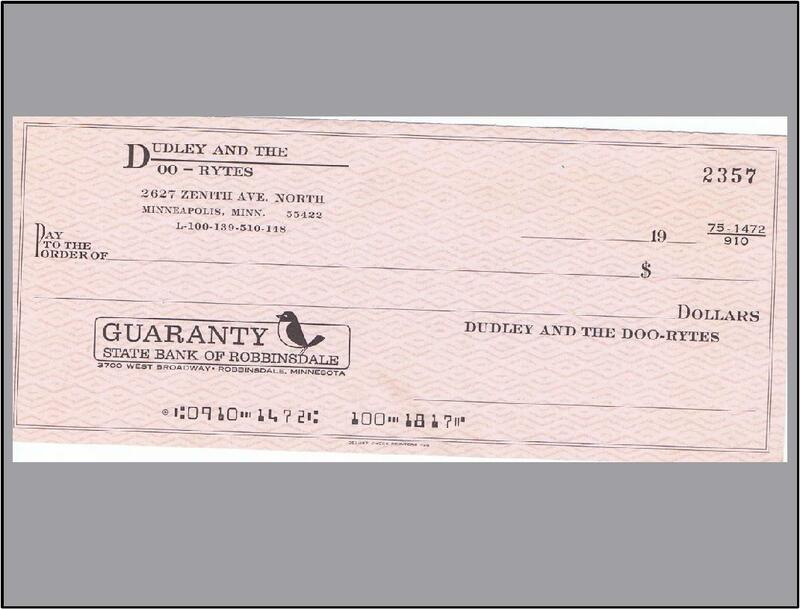 One of the first jobs for the band is at the Reef Club in Minneapolis. Denny Libby takes piano lessons from Jim Donna of the Castaways and Jim takes an interest in the band. 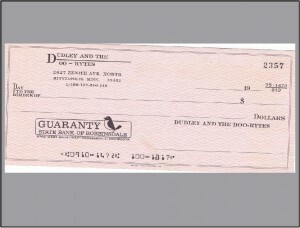 Denny and the band members are all fans of the Castaways and Denny is able to get the Castaways booked at the Reef Club. 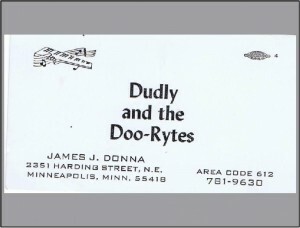 The Castaways become so popular they are unable to play all of the jobs they have requests for, as a result, Jim Donna books Dudley and The Doo Rytes to play some of the jobs the Castaways cannot play. The band draws well on many of these jobs and are invited back to play at many of the venues. 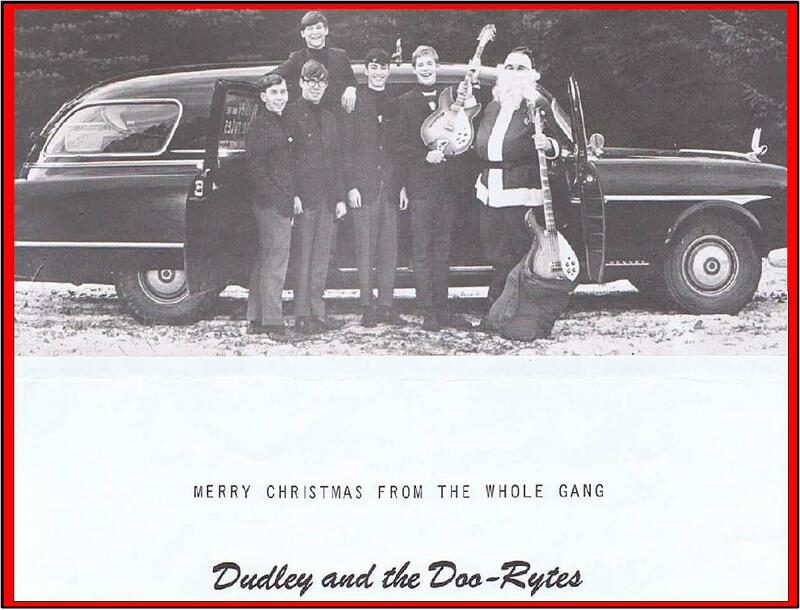 After Denny Libby purchases an album by the Paul Butterfield Blues Band, the group adds numerous blues songs to their set list which consists of popular radio songs from the era. 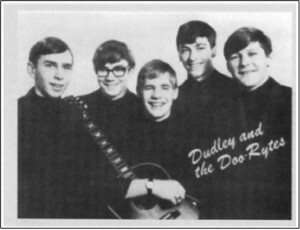 After the Castaways hit the national charts with “Liar, Liar” in August (climbing to number 12 on Billboard in October), Jim Donna decides to write a novelty type song for Dudley and The Doo Rytes. 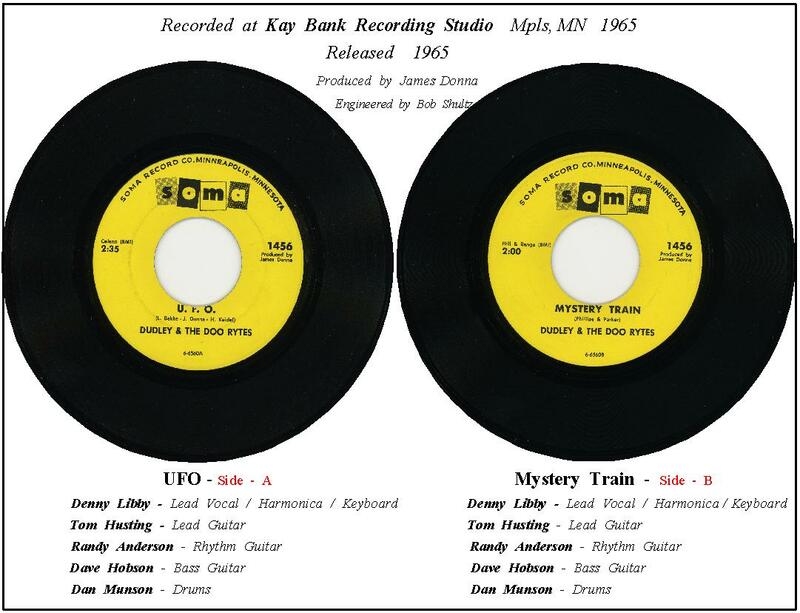 The song, “UFO” is inspired by numerous reported sightings of UFO’s (Unidentified Flying Objects) across the country during this time period. 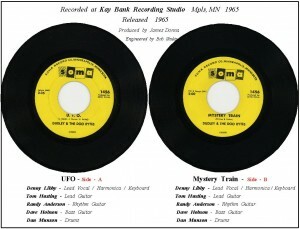 Jim takes the band in to Kay Bank to record the song, along with “Mystery Train” for the B-side. 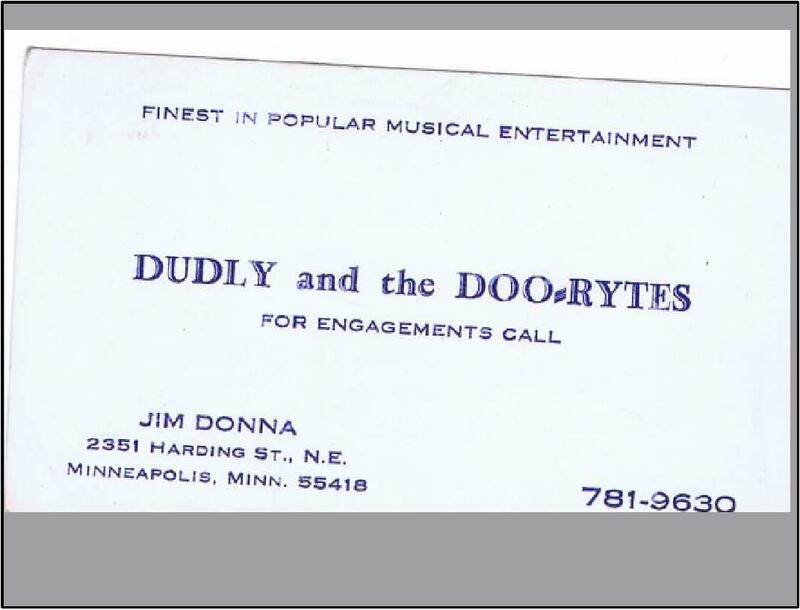 With connections to Soma Records, the record company that released “Liar, Liar” by The Castaways, Jim gets the song to Amos Heilicher of Soma Records, who likes what he hears and releases the Dudley and the Doo-Rytes 45 on the Soma label. The 45 gets some airplay on the local radio stations. Denny Libby sings lead vocals and also plays harmonica on both songs. 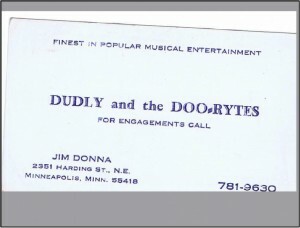 One day Denny Libby gets a call from Jim Donna with an offer to join The Castaways. Jim is returning to college to finish his degree and wants Denny to replace him. At the same time, Bob Fulschou leaves The Castaways for the military service and Tom Husting joins the band on guitar and vocals. Greg Maland (from Gregory Dee and the Avanties) also joins The Castaways on organ and vocals making the band a five-piece. Dudley and The Doo Rytes come to an end after Denny Libby and Tom Husting leave the group.